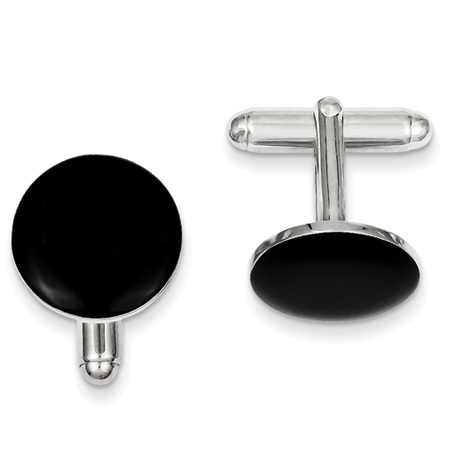 Round black enameled cuff links are made of sterling silver. Measures 5/8 inch by 5/8 inch. Weight: 6.8 grams. Made in Italy.